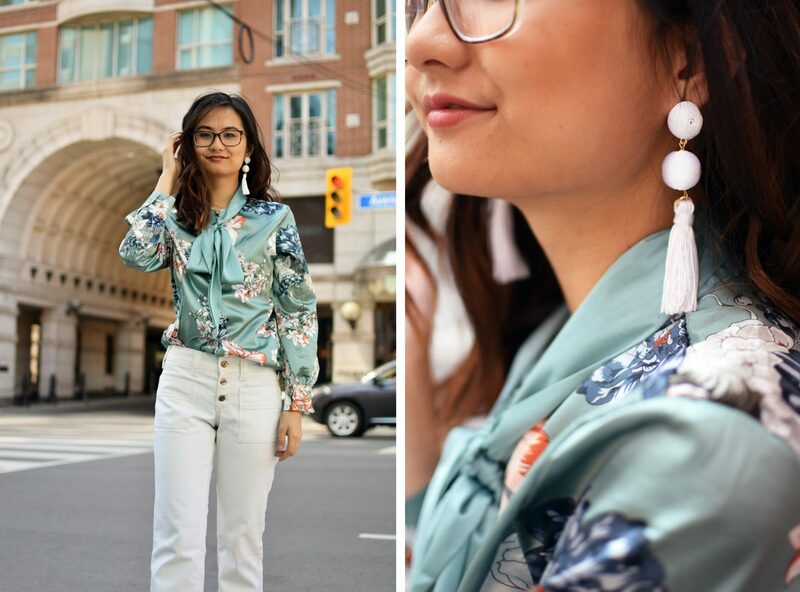 It’s definitely felt like spring the last week here in Toronto so I’m excited to post what I feel like is actual spring fashion. I love wearing light coats during the spring but I’ve definitely worn thicker ones this season seeing as that Toronto didn’t get the memo that winter is over. 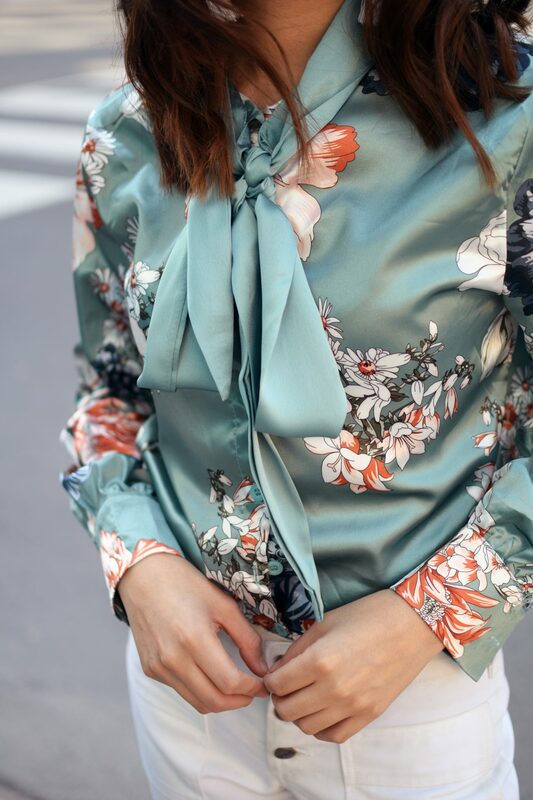 Of course, what is spring without florals? 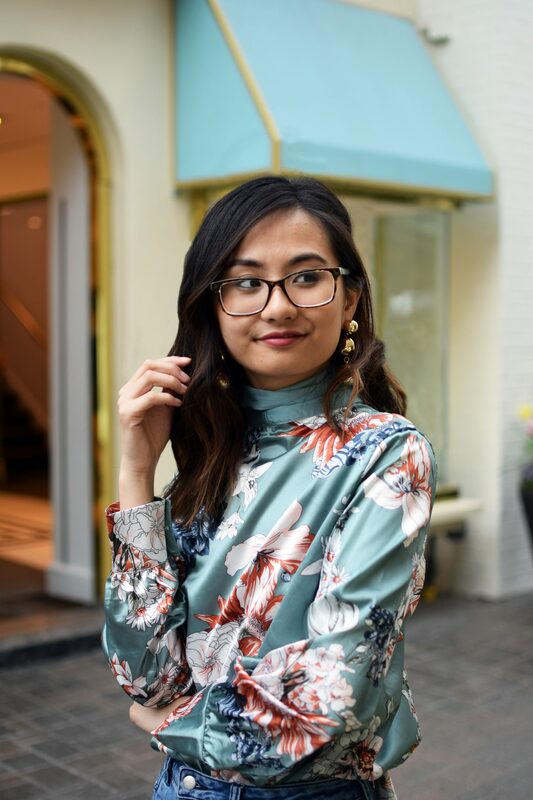 After a hours of struggling on picking outfits, I ended up coming up with three totally different ways to wear a neck tie blouse that I received from SheIn and couldn’t wait to show you all! This is definitely my favourite outfit of all of them because of the flared white pants that I scored during a thrifting trip with Carolina recently! 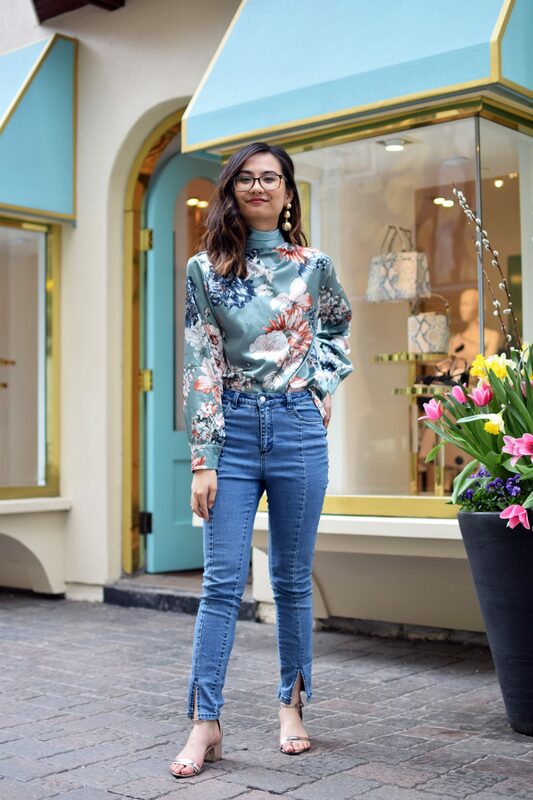 I definitely felt the 70s vibes in this outfit because of how popular flared pants were during that decade. Moving on, I wanted to be very spring-like by pairing the top with white pants. I decided to accessorize with white tassel earrings from ASOS. With my recent obsession with statement earrings, you’ll be seeing a lot of these on my blog and Instagram this spring/summer! Remember that Zara kimono jacket that EVERY influencer was wearing last year? I get those vibes from this top! By keeping it unbuttoned and having a casual camisole underneath it becomes a very simple but put together spring look. Of course, pairing it with a denim skirt adds onto that simplicity. As I was struggling picking outfits one day, I wanted to try something different with this top and was playing around with tying the scarf that’s attached. I ended up wrapping it around and discovering how it creates an open back effect. 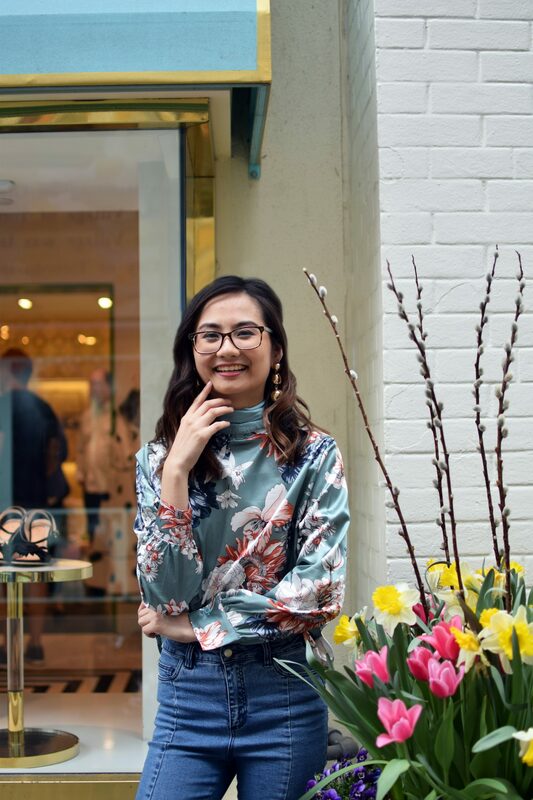 For the rest of the look, I just went casual with pairing it with my favourite jeans of the moment and throwing on another pair of statement earrings. 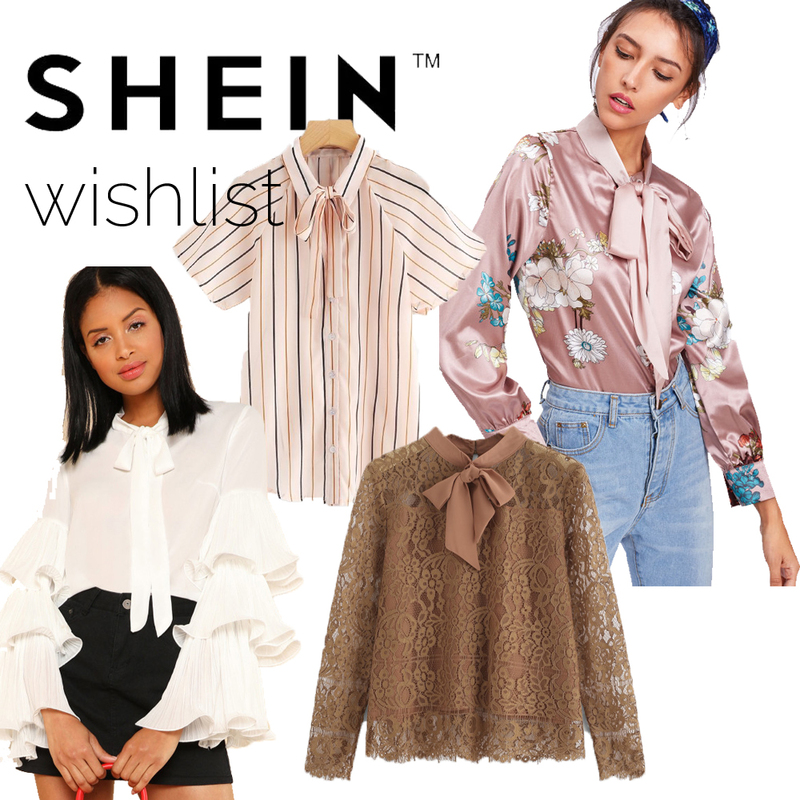 Disclaimer: Products in this post were sent to me from SheIn and therefore contain affiliate links. All opinions are my own.